Fiber Cement Siding Fayetteville | Ideal Roofing and Exteriors Inc.
165 Hidden Valley Rd. Fayetteville Ga. Ideal Roofing and Exteriors was recently hired to install new fiber cement siding, on a home, in the Lakemont Subdivision of Fayette County. The subdivision was constructed in the mid-90s. It was during this time period that the Louisiana-Pacific Corporation had manufactured and distributed a defective product that was prone to premature rot, discoloration, disintegration, and fungus and mildew growth. Most of the homes in this area have the LP siding in question. The homeowner was aware that his home had defective LP siding and was looking for a reputable siding contractor in Fayetteville. 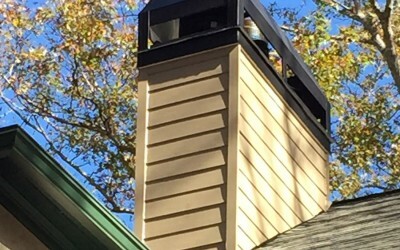 Ideal Roofing and Exteriors has 2 decades of experience installing fiber cement siding and we are very familiar with the product and proper installation guidelines. At Ideal Roofing and Exteriors, we often recommend a pre-painted fiber cement siding. Fiber cement siding is a product made from sand, cement, and cellulose. It’s history dates back to the early 1900s. The product has had great success in the US since the early 80s, and it continues to grow in popularity among builders and siding contractors nationwide. Fiber cement siding is extremely durable and requires very little maintenance. Ideal Roofing and Exteriors is an experienced fiber cement siding installer and we guarantee our installations for 10 years. Back of House 165 Hidden Valley Rd. 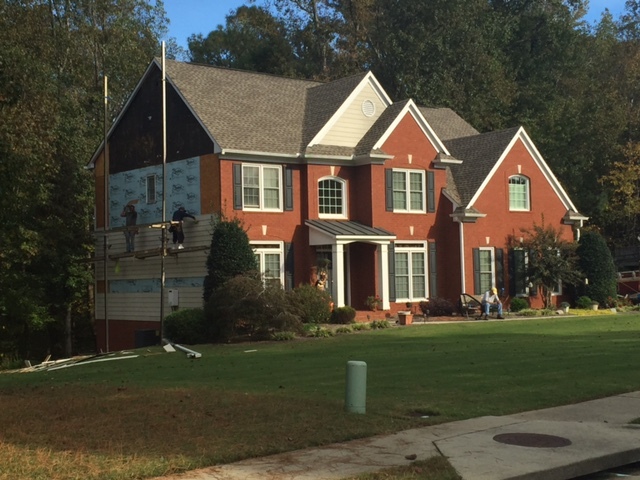 Fayetteville Ga.
We began removing the existing siding on October 30, 2015. We estimated that the project would take one week to complete. 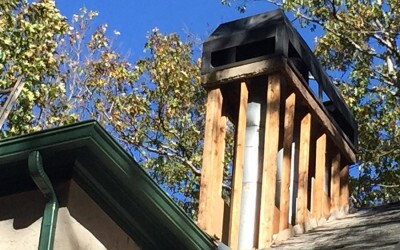 Typical installation time on a two story home requires three to five days; this was a larger home, closer to three stories. 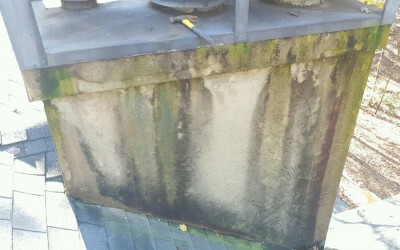 We were careful when we removed the old siding. We wanted to make sure not to damage the windows or landscaping. 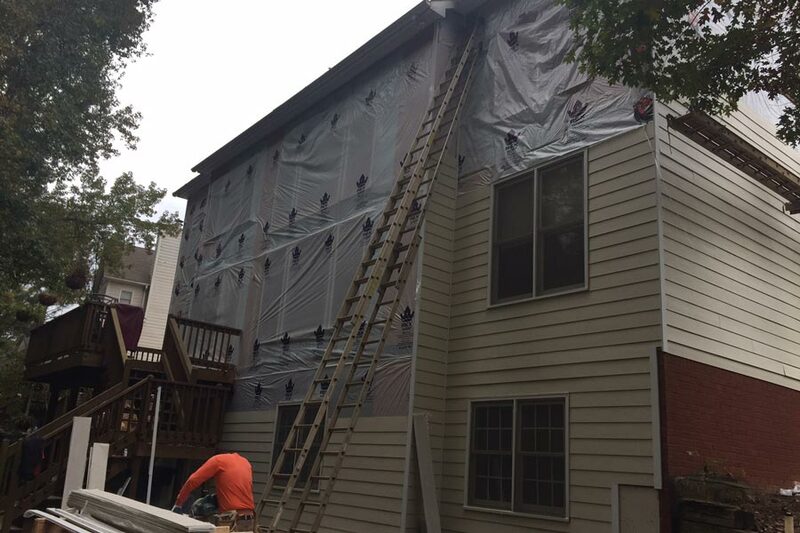 After removing the old siding, we inspected the sheathing and structure for hidden damage. 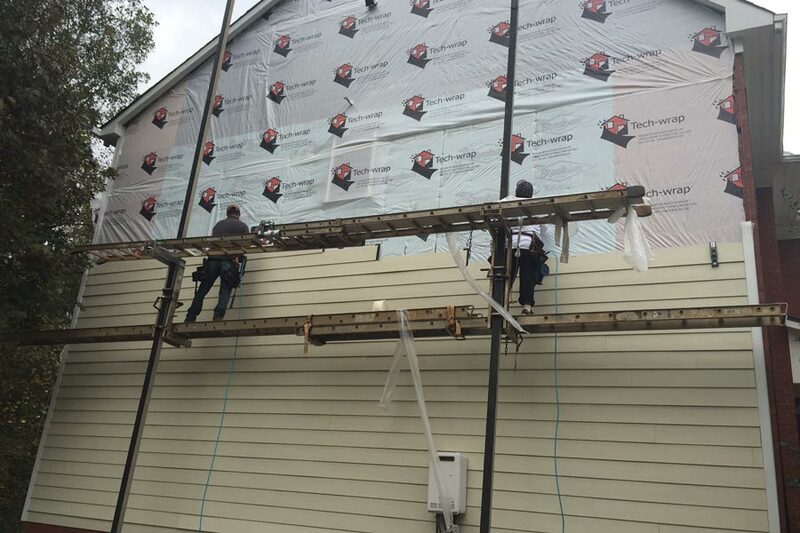 We installed the new HardiePlank Cedar Mill Siding with ColorPlus Technology over a synthetic house wrap. We make sure to follow all the manufacturer’s installation guidelines. The siding carries a 30-year limited warranty and a 15-year paint finish warranty. The project was completed on November 3, 2015, ahead of schedule. Ideal Roofing and Exteriors guarantees the installation of fiber cement siding for 10 years.